Porta Palio is composed of ten buildings around two squares. Each building is composed of 18 or 24 apartments, a total of 228 flats. The existing heating system used a boiler in each flat which was maintained by the occupant. These were generally poorly maintained and getting old – over half were due to be replaced. In addition, the chimneys did not guarantee adequate ventilation. As a result the heating was inefficient and potentially unsafe. Aim Provide flats with secure and efficient heating and hot water system while improving environmental performance from system that allows renewables to be seamlessly connected later. Very ambitious technically – co-generation with individual metering maximizes the savings and helping occupants use energy more sustainably by allowing each apartment to measure and control how much they use. Benefits The actual consumption of natural gas for hot sanitary water and heating is almost 340.000 Nm3 annually. The foreseen natural gas saving will be almost 59.000 Nm3, i.e. 17.34 %. The net environmental gain will be a lower emission of 115.64 CO2 tonnes annually. Partnership details AGEC is the municipality owned contractor. AGEC has full control and responsibility for all the work and subsequent maintenance. This included all the planning and assessing the costs and savings. 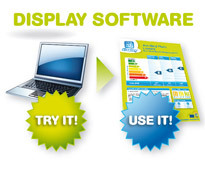 From the projected energy use Verona City Council, who provided most of the funding, were able to estimate the energy performance using the Display™ system. The Veneto region provided additional project funding. Achievments Installed new heating system which is providing hot water and heating. Cogeneration plant coming online at the end of 2006. Ongoing monitoring and testing to calibrate the system during the first year. Costs can be reduced by including improvements into normal refurbishment cycle. Lessons Learned _ Comprehensive planning is essential for successful refurbishment at this scale. Good replication potential – Individual apartment boilers can be replaced with community heating system. While there are no boilers in each flat, maintenance is still needed; however, possible maintenance cost and contracts for the occupants are still being studied by AGEC.